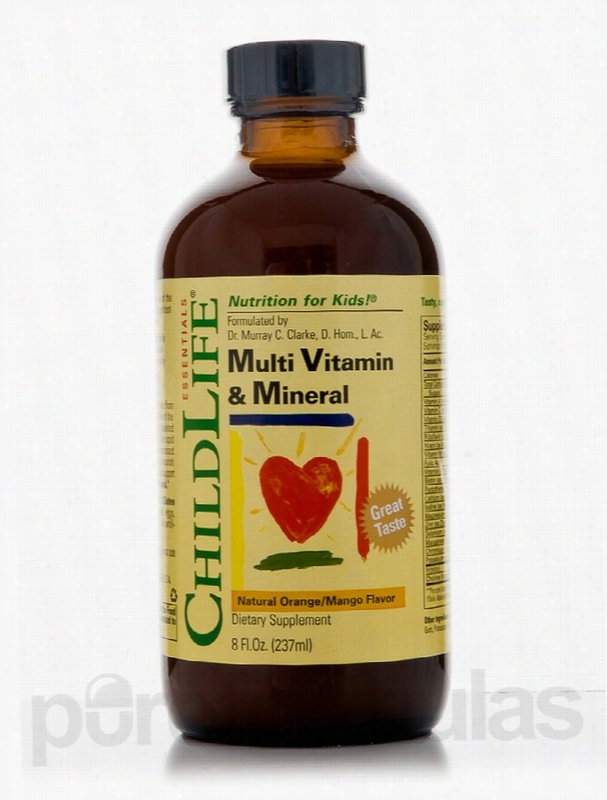 ChildLife Essentials Children's Formulas - Multi-Vitamin & Mineral. The full spectrum of essential vitamins and Minerals support healthy development&sbquo; strong immune function as well as emotional and mental vitality. Research shows that one of the fundamental reasons for the decline in children's health and immunity is the decline in the nutritional content and value of their diet. Supplementing a child's diet a smart way to ensure that all nutritional needs are fulfilled.Today's children face unprecedented challenges from two very important areas. On one hand&sbquo; the nutritional value of the food we eat decreases as the nutritional content of the soil is depleted through time and modern farming methods. On the other hand&sbquo; the rapid increase in environmental pollution and toxic burden creates an increased need for these nutrients - the vitamins and minerals that protect&sbquo; nourish and sustain a child's natural&sbquo; healthy development. Support your child's growth and development with this Multivitamin and Mineral formula. These statements have not been evaluated by the Food and Drug Administration (FDA). These products are not meant to diagnoseÃ¢ÂÂ treat or cure any disease or medical condition. Please consult your doctor before starting any exercise or nutritional supplement program or before using these or any product during pregnancy or if you have a serious medical condition. 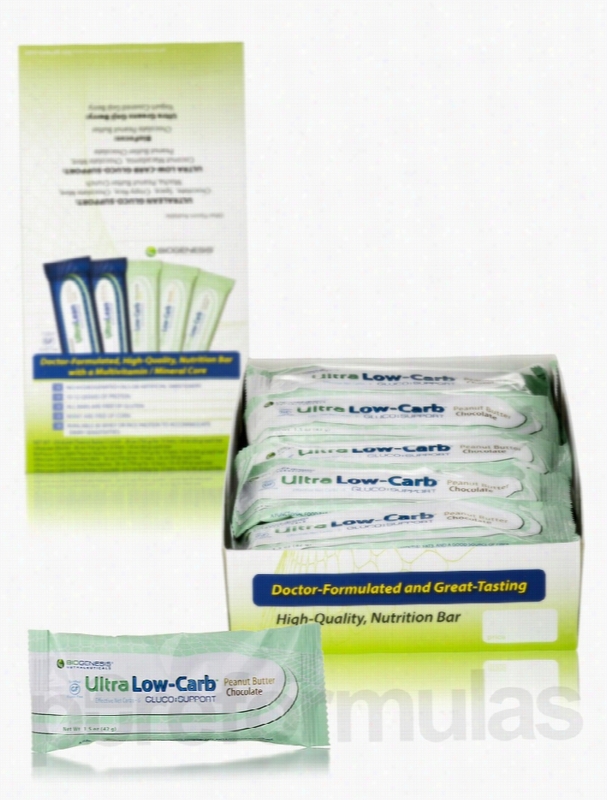 Biogenesis Nutraceuticals Snacks - Ultra Low-Carb Bars Peanut Butter. Thorne Research Immune Support - Arabinex (Arabinogalactans) - 3.5 oz. Are you looking for an excellent source of fiber with proven positive effects on your immune system? 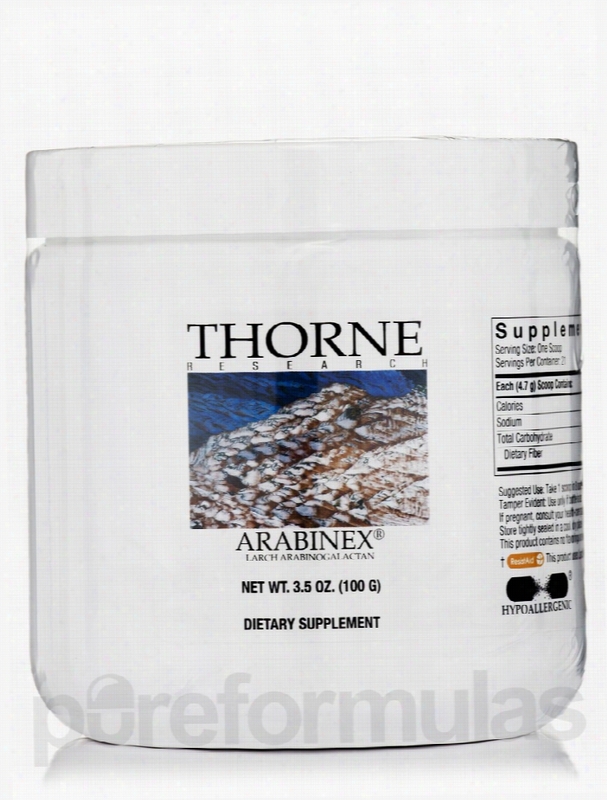 Thorne Research&rsquo;s Arabinex&reg; may be just right for you! Fiber promotes a healthy digestive system&sbquo; which helps prevent constipation and other digestive disorders. It also provides a sense of fullness&sbquo; allowing you to be satisfied with less food; this Arabinex&reg; comes in powder form for added convenience and ease of use. This supplement offers support for the optimal functioning of your immune system&sbquo; provides the probiotic fiber necessary to boost the beneficial bacteria present in the colon&sbquo; and promotes intestinal health by increasing the colon&rsquo;s short-chain fatty acids. Arabinex&reg; consists of arabinogalactans&sbquo; a derivative powder from the Western Larch (Larix occidentalis) that has been proven to both give a crucial boost to your immune system and serve as a superb fiber source. It promotes colon health by increasing butyric acid concentrations and levels of beneficial flora in your intestines; butyric acid&sbquo; which is one of the most dominant short-chain fatty acids produced by the fermentation of fiber&sbquo; provides the primary fuel for colon cells. This product makes use of superior ingredients to deliver such outstanding results. It&rsquo;s extremely water-soluble&sbquo; meaning that it mixes effortlessly into liquid without any chalky aftertaste and is absorbed by your Body easily. The pleasant taste allows Arabinex&reg; to provide great nutritional supplementation made easy for children&sbquo; as well as for adults. Thorne Research is the right choice for nutritional supplements&sbquo; because its mission is to provide the highest-quality nutritional products with the utmost levels of purity and excellence. It strives to help its valued customers maintain their health and improve their overall wellbeing. Since its founding over 25 years ago&sbquo; Thorne Research has been at the forefront of the dietary supplement industry. This is due to the company&rsquo;s rigorous testing processes&sbquo; which are designed to ensure that only the purest ingredients make it into its outstanding products. Along with this commitment to excellence is Thorne Research&rsquo;s drive to support and enhance healthy lives everywhere. Thorne Research continues to develop and produce promising supplements while maintaining the trust of health-care professionals. These statements have not been evaluated by the Food and Drug Administration (FDA). These products are not meant to diagnoseÃ¢ÂÂ treat or cure any disease or medical condition. Please consult your doctor before starting any exercise or nutritional supplement program or before using these or any product during pregnancy or if you have a serious medical condition. Nutri West Hormone/Glandular Support - Core Level Adrenal - 60 Tablets. Thinking about nutritional support for your adrenal glands? 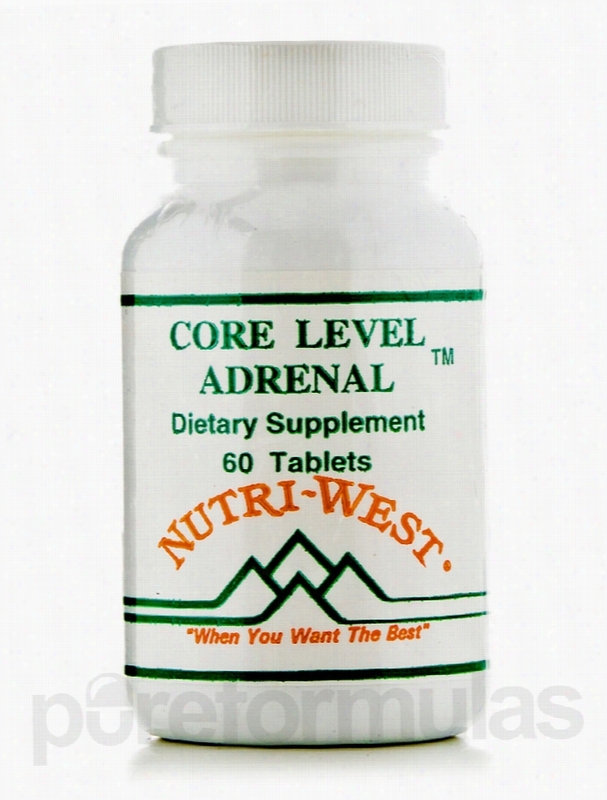 Try Nutri West Core Level Adrenal! This adrenal support supplement is formulated with a wide variety of ingredients that may offer your adrenal glands nutritional support. People who have a lot of Stress in their life (in addition to poor diet) may be susceptible to a homeopathic condition called adrenal fatigue. This is basically what it sounds like&sbquo; the unnatural amount of stress placed on our bodies and minds causes our adrenal glands to become overworked. That's why Nutri West has formulated Core Level Adrenal. Here are some of this adrenal support supplement's ingredients: Apple Pectin This Core Level Adrenal ingredient is a type of fiber that is derived from fruits. In addition to some other potential health benefits&sbquo; pectin may help to deter diarrhea by possibly binding intestinal components together. This may be beneficial because being over-stressed can have negative effects for bowel movements. Yellow Dock It's the root of this herb that has been used for potential medicinal benefits. Some chemicals in yellow dock may allow Core Level Adrenal to affect the bowels and act as a laxative. In combination with apple pectin&sbquo; yellow dock may help regulate normal bowel movements. Vitamin E This essential vitamin is necessary for our bodies to maintain health and life. As such&sbquo; it's obvious that vitamin E plays a role in some crucial bodily functions. Core Level Adrenal also features vitamin E because it can exhibit antioxidant features. This means that it may search out and eliminate free radicals&sbquo; atoms in our body that have an unpaired electron&sbquo; which may lead to cellular damage. For a full list of what's in Core Level Adrenal&sbquo; check out the &quot;Ingredients&quot; tab above! Nutri West provides nutritional supplements to health care professionals in order to optimize their patients&rsquo; well-being. It was founded in 1981 and has expanded into a worldwide company with state-of-the-art&sbquo; environmentally-friendly manufacturing and packaging processes. Its products are hypo-allergenic and have been formulated for the highest quality. These statements have not been evaluated by the Food and Drug Administration (FDA). These products are not meant to diagnoseÃ¢ÂÂ treat or cure any disease or medical condition. Please consult your doctor before starting any exercise or nutritional supplement program or before using these or any product during pregnancy or if you have a serious medical condition. 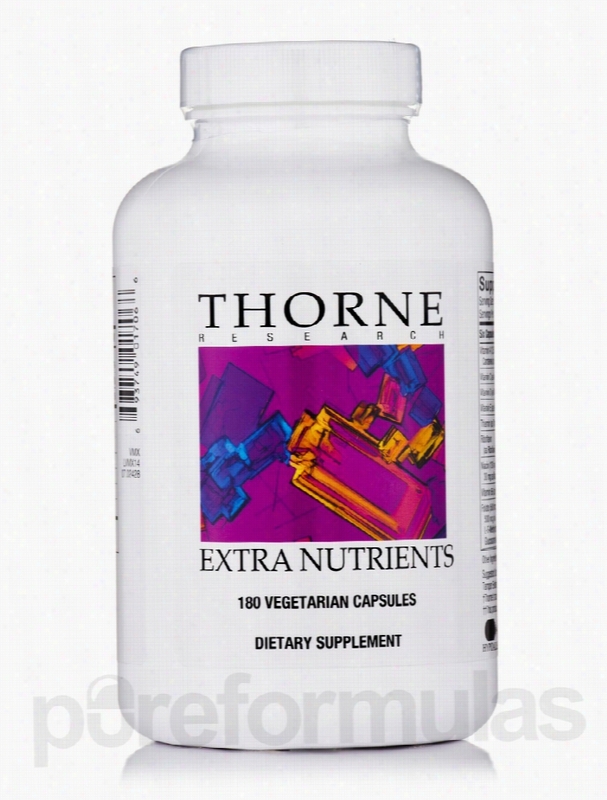 Thorne Research Cellular Support - Extra Nutrients - 180 Vegetarian. Thorne Research&rsquo;s Extra Nutrients&trade; is a powerful nutritional supplement that delivers valuable vitamins and minerals&sbquo; with added support from antioxidants. Nutritional research has revealed foods that are high in antioxidants make an important contribution to a healthy diet. Unfortunately&sbquo; most people don&rsquo;t consume the recommended five daily servings of fruits and vegetables rich in antioxidants every day and therefore need to rely on supplementation to help meet their body&rsquo;s demand for them. Furthermore&sbquo; today&rsquo;s often stressful lifestyles tend to make cells in the body disposed to oxidative damage. Even if you&rsquo;re striving to lead a healthy life and conscientiously engaging in regular physical exercise&sbquo; you may well need additional antioxidants to counteract the oxidative stress brought on by an increase in metabolic activity. Extra Nutrients&trade; vegetarian capsules can be the perfect source of an antioxidant boost. This supplement was developed specifically for those who need an increased oxidative level and who are seeking multivitamin supplementation that includes ideal amounts of antioxidants. It provides the optimal daily intake of a full complex of essential vitamins and minerals. Whether you&rsquo;re an athlete&sbquo; feeling the wear of the aging process&sbquo; or just find yourself in the middle of an especially stressful situation&sbquo; Extra Nutrients&trade; may be just the nutritional supplement you need. Extra Nutrients&trade; 180 Vegetarian Capsules by Thorne Research features: Active forms of essential B-vitamins All hypoallergenic ingredients No magnesium stearate or stearic acid that can inhibit absorption Advanced forms of minerals for peak absorption&sbquo; such as picolinates&sbquo; citrate-malates&sbquo; and UltraChrome&reg;&mdash;Thorne Research&rsquo;s patented form of chromium Thorne Research strives to provide pure&sbquo; high-quality supplements to people looking to enhance their health and well-being. Its products are commonly used in prestigious research studies&sbquo; and are recommended by many doctors and health care practitioners. The company always goes the extra mile to ensure that Thorne Research dietary supplements are safe and effective for immune-compromised&sbquo; allergic&sbquo; and chemically sensitive patients. These statements have not been evaluated by the Food and Drug Administration (FDA). These products are not meant to diagnoseÃ¢ÂÂ treat or cure any disease or medical condition. Please consult your doctor before starting any exercise or nutritional supplement program or before using these or any product during pregnancy or if you have a serious medical condition. 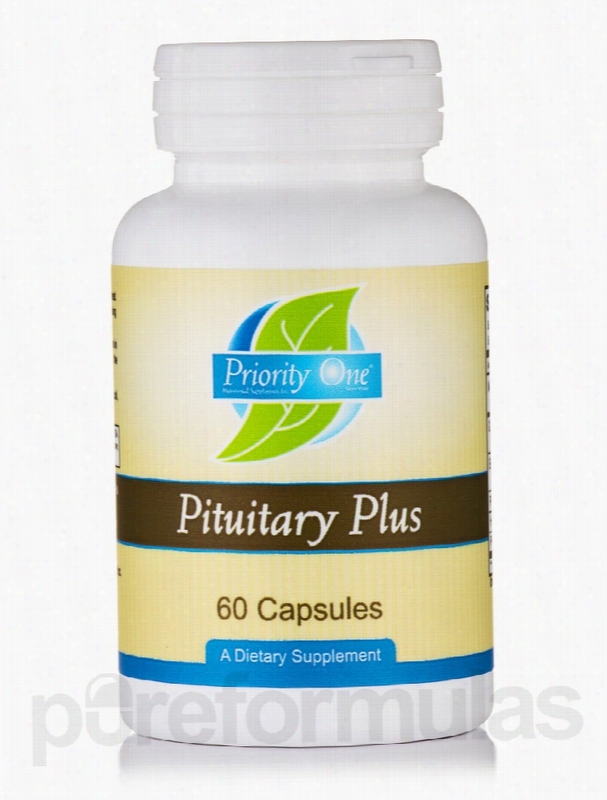 Priority One General Health - Pituitary Plus - 60 Capsules. Your pituitary gland is a cluster of hormone-producing cells found deep inside your brain. Its job is to regulate a range of bodily functions. This gland releases hormones (chemical messengers) that travel to their target organs by flowing through your bloodstream; once they reach their destination&sbquo; they trigger the release of more hormones. Your pituitary gland therefore controls a variety of other hormone-releasing organs&sbquo; including your reproductive organs. Since it's always active&sbquo; the pituitary gland can become worn out as you age; this may also slow the rate of hormone production. This can lead to poor functioning in the organs that your pituitary gland controls. You can lessen the effects of these problems by taking supplements. Natural supplements can provide the Nutritional support that may help stimulate and balance the workings of your pituitary gland. Pituitary Plus by Priority One provides you with the nutrients you need to keep your pituitary gland functioning properly. It contains a blend of natural ingredients that are known for supporting pituitary health. Taking this supplement may help your body produce the right amount of hormones to keep your body running efficiently. Some of the active ingredients in each capsule include: Manganese&sbquo; which helps keep your pituitary gland healthy and lessens the damage that can be done by harmful free radicals Gotu Kola&sbquo; which is an herb that may be able to relieve fatigue and give you energy Eleuthro&sbquo; which is an herb that stimulates your pituitary gland to support hormonal production Pituitary extract to promote overall health This bottle of Pituitary Plus by Priority One contains 60 capsules&sbquo; which will last you for about 15 days at the recommended dosage. Take two capsules in the morning and two in the evening&sbquo; unless otherwise directed by your doctor. As a manufacturer of high-quality natural health and nutritional products&sbquo; Priority One is committed to serving health care professionals and patients. Priority One is a family-owned and operated company that was established a quarter of a century ago. Its focus is on developing potent&sbquo; safe&sbquo; and effective nutritional supplements that enhance the lives of users. These statements have not been evaluated by the Food and Drug Administration (FDA). These products are not meant to diagnoseÃ¢ÂÂ treat or cure any disease or medical condition. Please consult your doctor before starting any exercise or nutritional supplement program or before using these or any product during pregnancy or if you have a serious medical condition. 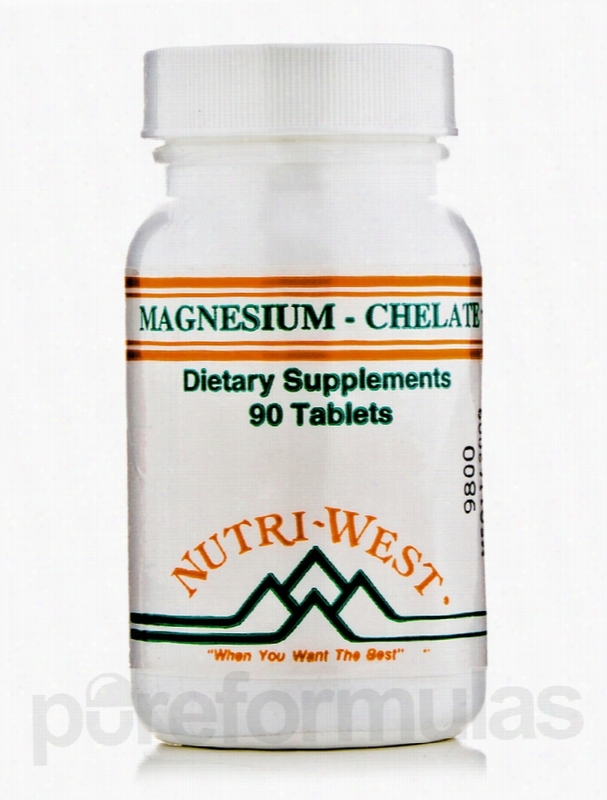 Nutri West Cardiovascular Support - Magnesium Chelate - 90 Tablets. Magnesium Chelate is formulated to potentially ensure your body has an adequate amount of this essential mineral. In order to understand magnesium's importance&sbquo; one must understand what the term &quot;essential mineral&quot; means. An essential mineral is a nutrient that our body needs for the development and proper function of certain body parts and processes in addition to sustaining life. However&sbquo; the catch is that our bodies can't synthesize (or produce) it naturally like it can with some other substances. This means that we must get the proper amount of magnesium through our diet. The problem is that this relies on the idea that we are able to consistently eat a nutritionally balanced diet. The reality is that it's extremely easy to eat poorly these days. That's why nutritional supplements like Magnesium Chelate can be a great help in filling these nutritional gaps. Let's talk about the potential benefits of magnesium chelate. Like calcium&sbquo; another essential mineral&sbquo; magnesium is present in significant quantities in our bones. This means that maintaining healthy magnesium levels most likely coincides with supporting bone health. There is also some evidence that magnesium may help support Cardiovascular health due to the fact that a poor intake of magnesium could potentially cause high blood pressure. Magnesium chelate may also play a role in muscle relaxation by blocking calcium channels that cause muscle contractions. Some people also use magnesium as a possible laxative since the mineral helps to nullify stomach acid and move stool through our body. Magnesium Chelate also features a blend of glandular tissue concentrates that may offer health benefits. Nutri West provides nutritional supplements to health care professionals in order to optimize their patients&rsquo; well-being. It was founded in 1981 and has expanded into a worldwide company with state-of-the-art&sbquo; environmentally-friendly manufacturing and packaging processes. Its products are hypo-allergenic and have been formulated for the highest quality. These statements have not been evaluated by the Food and Drug Administration (FDA). These products are not meant to diagnoseÃ¢ÂÂ treat or cure any disease or medical condition. Please consult your doctor before starting any exercise or nutritional supplement program or before using these or any product during pregnancy or if you have a serious medical condition. 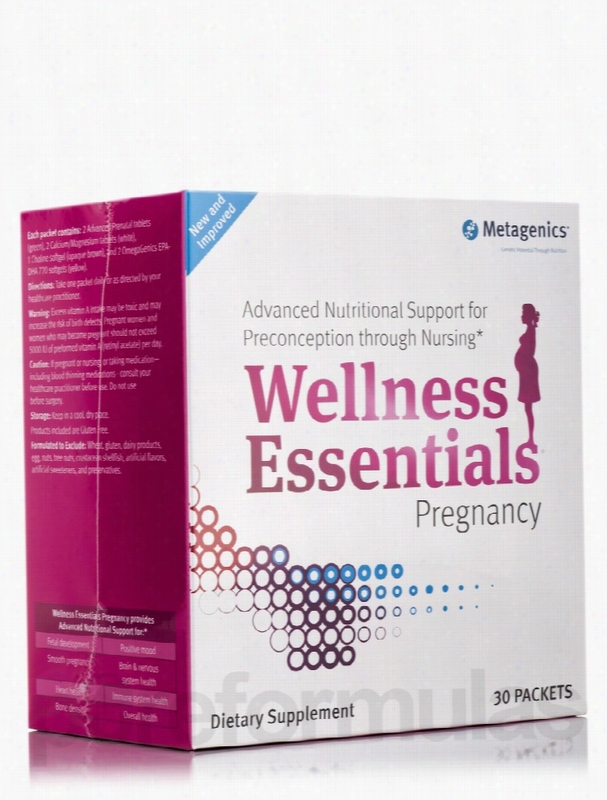 Metagenics Women's Health - Wellness Essentials Pregnancy - Box of 30. New and Improved!Advanced Nutritional Support for Preconception through Nursing!Personalized Nutrition with Targeted Support for Preconception through Nursing.Proper prenatal nutrition&sbquo; including omega-3 fatty acids and folate&sbquo; are critical to healthy fetal development and a smooth pregnancy. Wellness Essentials Pregnancy is formulated to provide comprehensive nutritional support&mdash;from the moment you make the decision to have a baby through nursing.Each once-daily packet provides:- Prenatal multivitamin support: Advanced Prenatal provides a science-based combination of vitamins and minerals&sbquo; incorporating 1 mg of folate and an array of antioxidants that reflect the latest research in prenatal nutrition.- Fetal brain development support: Choline&sbquo; an essential nutrient&sbquo; is provided for additional support based on current research.- Fetal development&sbquo; heart health&sbquo; mood&sbquo; and overall health support: OmegaGenics EPA-DHA 720 is a quality-guaranteed omega-3 fatty acid fish oil manufactured and third-party tested in Norway to ensure greater purity.- Bone Density Support: Calcium/Magnesium supports bone health and may also support muscle relaxation and help ease nighttime limb movement and pregnancy-associated leg cramps.Each packet contains: 2 Advanced Prenatal tablets (green)&sbquo; 2 Calcium/Magnesium tablets (white)&sbquo; 1 Choline softgel (opaque brown)&sbquo; and 2 OmegaGenics EPA-DHA 720 softgels (Yellow).Wellness Essentials Pregnancy provides Advanced Nutritional Support for:- Fetal development.- Smooth pregnancy.- Heart Health.- Bone Density.- Positive Mood.- Brain and Nervous system health.- Immune system health.- Overall health. These statements have not been evaluated by the Food and Drug Administration (FDA). These products are not meant to diagnoseÃ¢ÂÂ treat or cure any disease or medical condition. Please consult your doctor before starting any exercise or nutritional supplement program or before using these or any product during pregnancy or if you have a serious medical condition. Jarrow Formulas Gastrointestinal/Digestive - Bile Acid Factors 333 mg.
Bile Acid Factors&reg; 333 mg 90 Capsules from Jarrow Formulas&reg; may help with fat absorption and digestion. This dietary supplement consists of highly concentrated conjugated and unconjugated bile acids produced from 1530 bovine/ovine bile concentrate. There are certain clinical studies&sbquo; which state that this supplement may improve nutritional status significantly. The bile acids are responsible for aiding the digestion process and absorption of dietary fat. These acids are created in the liver and then concentrated in the gallbladder following which they are secreted into the small intestines via the bile duct. The foods which increase bile production are bitter artichoke&sbquo; cynara cardunculus&sbquo; dandelion root and more which are generally not a regular feature in the modern diet. This is why a supplement such as this one from Jarrow Formulas&reg; may help. Insufficiency of bile acid may result in fat malabsorption and fatty stools signalled by diarrhea and floating stools. In the absence of proper fat absorption&sbquo; a person's nutritional status gets considerably flawed. The body misses out on several Essential fat-soluble nutrients&sbquo; which the body absorbs in the presence of bile acids. The primary components of this supplement from Jarrow Formulas&reg; are glycocholate and taurocholate. These components may play a very important role in revitalizing fat digestion and absorption. The included bile acids present in this Jarrow Formulas&reg; supplement may help disperse fats to make their absorption easier in the small intestine. 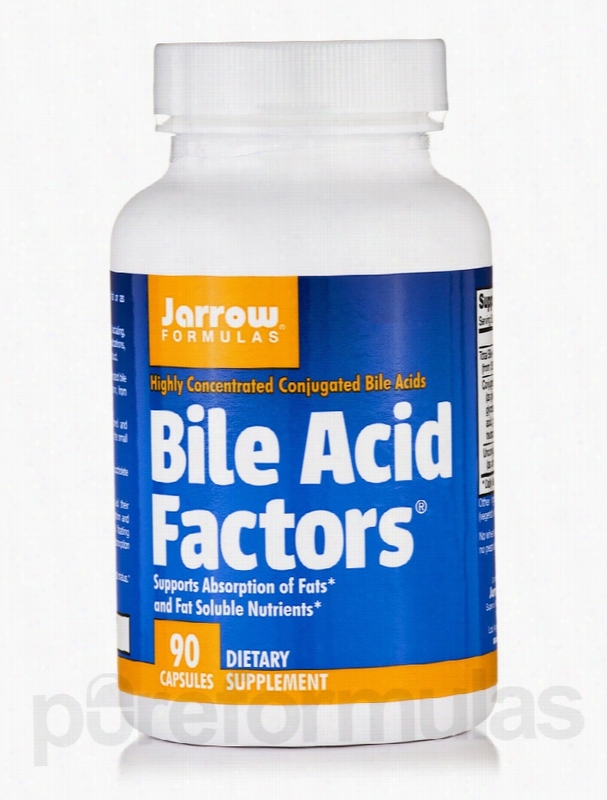 The Conjugated bile acids present in the Bile Acid Factors&reg; 333 mg 90 Capsules from Jarrow Formulas&reg; help in enhancing fat absorption thereby mending nutritional status. These statements have not been evaluated by the Food and Drug Administration (FDA). These products are not meant to diagnoseÃ¢ÂÂ treat or cure any disease or medical condition. Please consult your doctor before starting any exercise or nutritional supplement program or before using these or any product during pregnancy or if you have a serious medical condition. 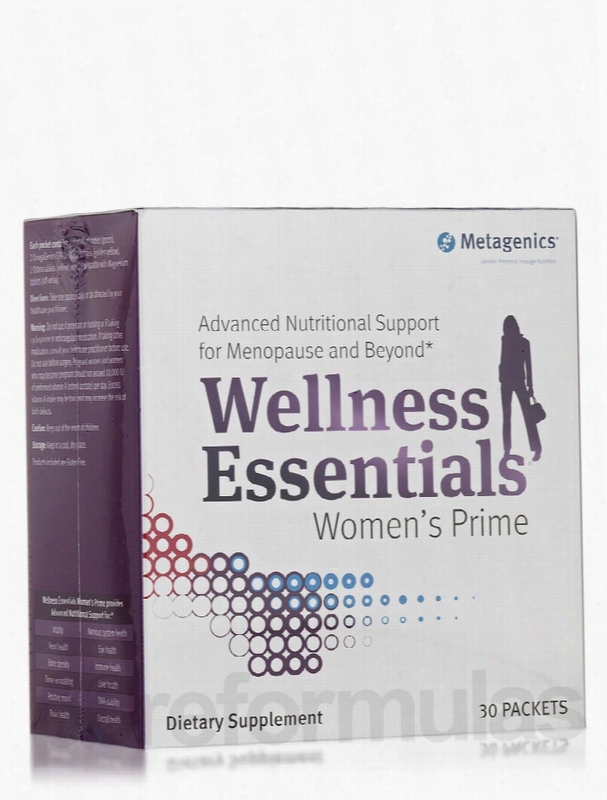 Metagenics General Health - Wellness Essentials Women's Prime - Box of. Personalized Nutrition with Targeted Support for Menopause and Beyond!Beginning in early menopause&sbquo; your body needs extra support for energy metabolism&sbquo; heart Health&sbquo; and bone health. Wellness Essentials Women's Prime is formulated to target your unique nutritional needs to help you stay active&sbquo; vital and maintain overall health.Each Once-Daily packet provides:1) Multifaceted health support: PhytoMulti&trade; is the &quot;smart multi&quot; with essential nutrients and a proprietary blend of 13 concentrated extracts and phytonutients to help protect cells and maintain DNA stability-activating health potential like no other supplement.2) Bone density support: Cal Apatite&reg; with magnesium goes beyond calcium with purity-tested MCHC - a complex crystalline compound composed primarily of calcium&sbquo; phosphorus&sbquo; trace minerals&sbquo; and bone growth factors to help maintain healthy bone density.3) Bone remodeling support: Ostera&reg;&sbquo; in combination with a healthy diet and exercise&sbquo; has been clinically shown to beneficially influence key markers of bone remodeling more than diet and exercise alone.4) Heart health&sbquo; mood&sbquo; and overall health support: OmegaGenics&trade; EPA-DHA 500 is a quality-guaranteed omega-3 fatty acid formula manufactured and third-party tested in Norway to ensure greater purity.The Metagenics Difference:Metagenics is one of the few professional nutraceutical companies that formulated&sbquo; manufactures&sbquo; and continually evaluates nutritional products in clinical practice. Each Wellness Essentials formula represents years of collective research to deliver optimized foundation nutrition and targeted health support.The nutritional products in Wellness Essentials Women's Prime are manufactured and packaged under triple Good Manufacturing Practices (GMP)-certified conditions at their state-of-the-art facility or a pharmaceutical-licensed facility to assure the highest quality and reliability. These statements have not been evaluated by the Food and Drug Administration (FDA). These products are not meant to diagnoseÃ¢ÂÂ treat or cure any disease or medical condition. Please consult your doctor before starting any exercise or nutritional supplement program or before using these or any product during pregnancy or if you have a serious medical condition.